We come to the third and final “act of righteousness” spoken of by Jesus in Matthew 6 – the act of fasting. Like the others, Jesus makes the point that “when we fast” we should be careful to do this as an act of reverence to God rather than to be seen by men. However, in this message, I really want to focus more on what fasting is and why we do it, with a special focus on how fasting and the “Beattitudes” from Matthew 5 connect together. We need to see fasting as a way of feasting with God. We fast the food of this natural world so that we can feast on the food in the spiritual world. Our goal is to Keep It Simple! I have included a worship set from the WellSpring Worship team led by Micah Williams at the conclusion of the sermon. As we run our race (Heb. 12:1,2) we have to realize that all the weights that we carry and allow to cling to us, will inhibit our ability to run and finish. America is so blessed with stuff, but the temptation to try to please ourselves and please God with all the stuff we have, can destroy our faith all together. In this series, focusing on Matthew 6, we will be looking at practical ways to practice the discipline of simplicity in our walks with The Father. Radical Simplicity - Part 1 Why Simplicity? 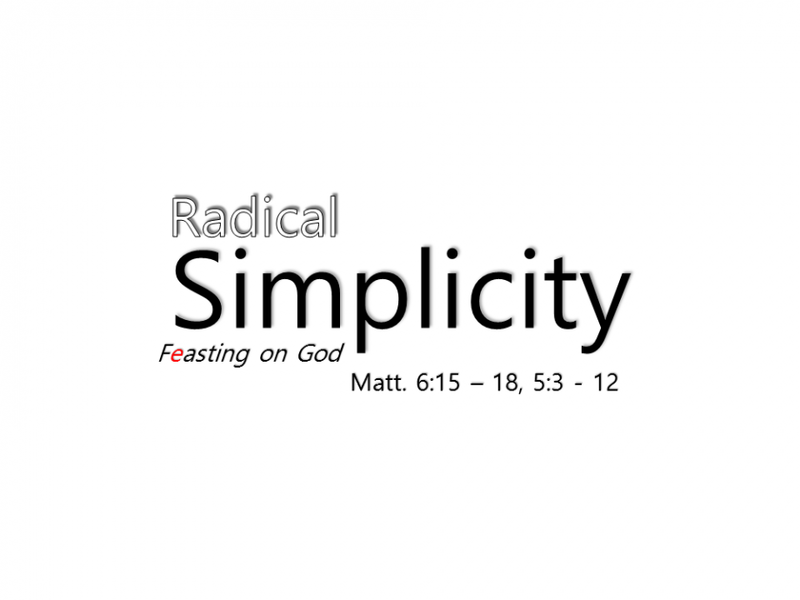 Radical Simplicity - part 3 - Real is Right!